Build an empire out of its grass hut roots! Take the role of a 300-year old emperor cursed to live without his true love until he appeases his god for a grievous offense. Gather resources, research new tools and build bigger and better accommodations as you care for your people and attract new citizens to your fold. 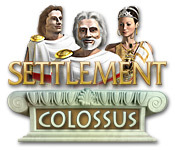 Featuring outstanding graphics and a breathtaking score, Settlement: Colossus is a thrilling Hidden Object game! Settlement: Colossus is rated 4.3 out of 5 by 48. Rated 5 out of 5 by stanliness from One of my absolute favorite games! This game has beauty - unlike any other game - and strategy, and just plain fun. LOVE this game!!! Wish there were others - but how could you top it? The bugs and butterflies and just the REALNESS of the game - so beautiful!!! I keep going back to this game - year after year - such a classic! 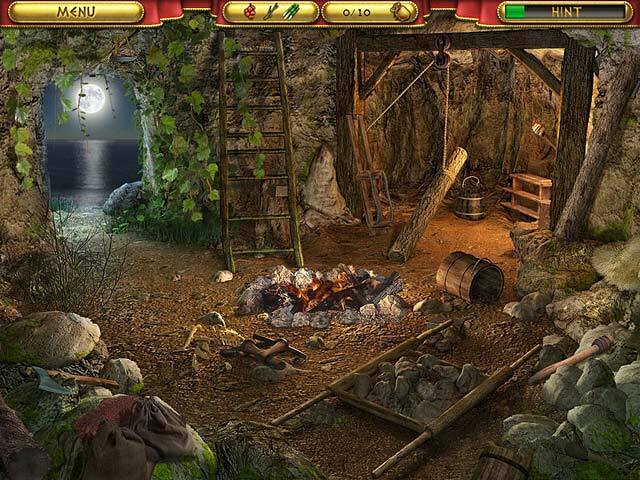 Rated 5 out of 5 by littlebea from Fun Hidden Object Game Love this game. Want more like this one. Rated 5 out of 5 by MmeMoxie from A great game & I love it. . . I purchased this game not too long after it came out. I can't tell you how many times I have played this game. For me, it is that good and different every time I play it. The HO scenes are different every time I play the game. The main scenes are the same and there is a variety, but the Hidden Objects are never in the same place, so you still have to hunt for them. One of the best aspects of this game is its length. You can play one game for many hours. It is not uncommon for me to stop playing the game for a time, due to its length. I will still stop the game when I am tired or need to do something, after all these years. The best part by stopping, you come right back to where you were. Now, I have learned to play whatever scene I am playing to completion or you will have to do it over again. This makes sense since you need to complete the scene so that the count is correct in the HO scenes or that you get credit for completing a Mini Game or finding an Artifact. Some have complained that they don't like the sparkles when looking for something. This is a hint and it can easily be eliminated, by stopping of the Hints in the Options. When you have not 'hints' and the sparkles still appear, it is because you have taken a long time, is all. Plus, the sparkles do not last long at all, they are more of a quick flash. I still love the challenge of the game, trying to get all of the aspects of the game correct and complete. 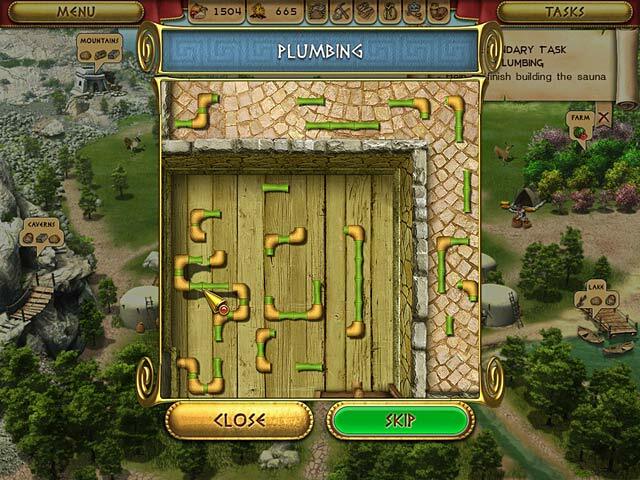 Even now, with as many times as I have played the game, I still find new challenges in getting food or firewood or ore or mud or reeds or gold or gems or coal or all of the items needed to play the game, finding all of the artifacts and completing all of the Mini Games. The final challenge is getting the Colossus built. I love building it and yet, it saddens me, since this is the last of the game. However, I recover knowing that there will be another day to play the game all over again. Bottom line, I love this game and love playing it everytime I do! Rated 5 out of 5 by KidsReward from Really like it! I buy games for my two kids as one of the rewards they earn for homework, good grades, chores, etc. My son thought this sounded interesting, and it looked like it might sneak in a little education in on him, so I bought it and ended up playing it as well. It includes puzzles to figure out along the way, which are pretty elementary. But the really good part was making you adopt a strategy of planning to meet your needs. You need food and fuel to survive, but you need tools to farm to have food, and you need ore and fuel to make the tools. The same with collecting reeds to make baskets to collect food, and using clay and wood to make pottery. We were watching a documentary about European settlements in the Americas, and my son says "I'll bet they built there because of the trees for wood and water nearby so they can grow food." And I thought "Yes! It made him think." I suppose the idea of learning something from a game might be the kiss of death, but I was happy with it. Now if I can only get my daughter interested. Rated 5 out of 5 by tutortime from Loved it! Could not stop playing this game and finished in 2 days. Its easy and relaxing. Rated 5 out of 5 by radarsweet from My Favorite, By Far! I'm not into time management games, but after playing this one, all the others pale in comparison! The story line is really quite mundane; a king leads his people to a new area to settle after being forced out by the bad guys. It's not the story line that is pertinent, though. There are plenty of jobs to get done. This game has more of a seek & find genre to it. You have to forage for food, wood, etc; build homes & other buildings. I play this game often. It's great entertainment, & I would highly recommend this game! Rated 5 out of 5 by DecipherWarlord from Worth to buy but no real challenge Excellent graphics, puzzles and lifelike hidden object scenes, decision-making with optionnal quests and sub-quests in order to build the best city. Its only flaw is the lack of challenge when it comes to puzzles and skill games; they are WAY too easy to complete. Game is long and fun and easy to go thru. Worth a purchase if you're looking for a fun and peaceful game with no head breakers.